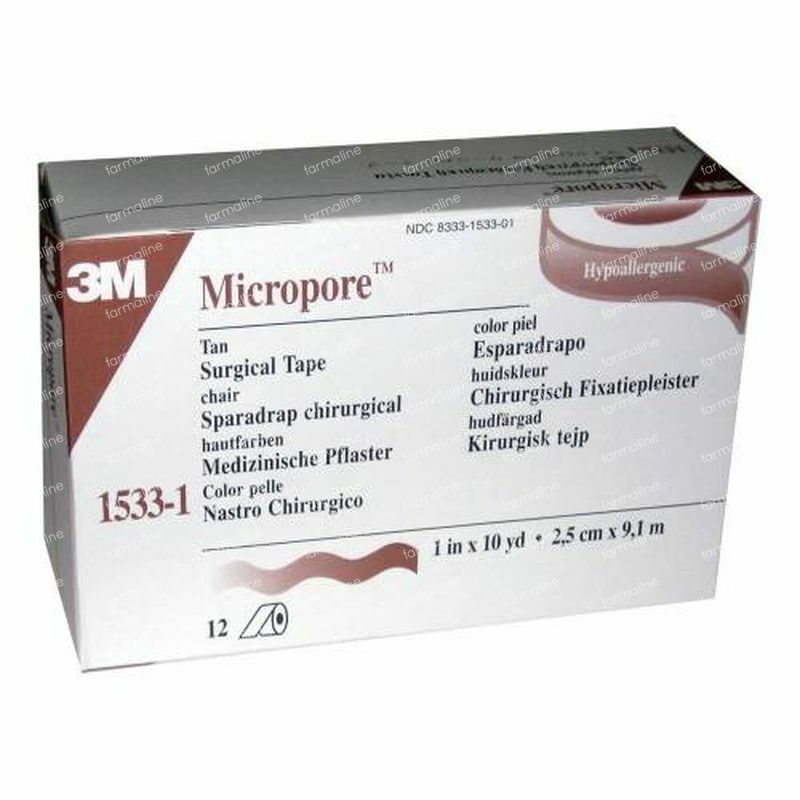 3M Micropore Skin Tone 2.5 x 915 cm 12 bandages order online. 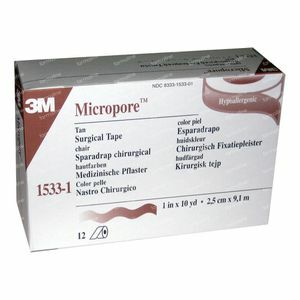 3M Micropore tape is excellent for repeated applications on sensitive skin and elderly patients. It allows for moisture evaporation and skin to breathe and leaves minimal adhesive residue upon removal. Micropore tape is available in a dispenser pack for easy tear and convenience. Excellent for general-purpose taping. It is available in white or tan. Maximizing the grip by friction or by pressing the closure of the plaster. Hold the tape near the surface of the skin and gently pull it loose.